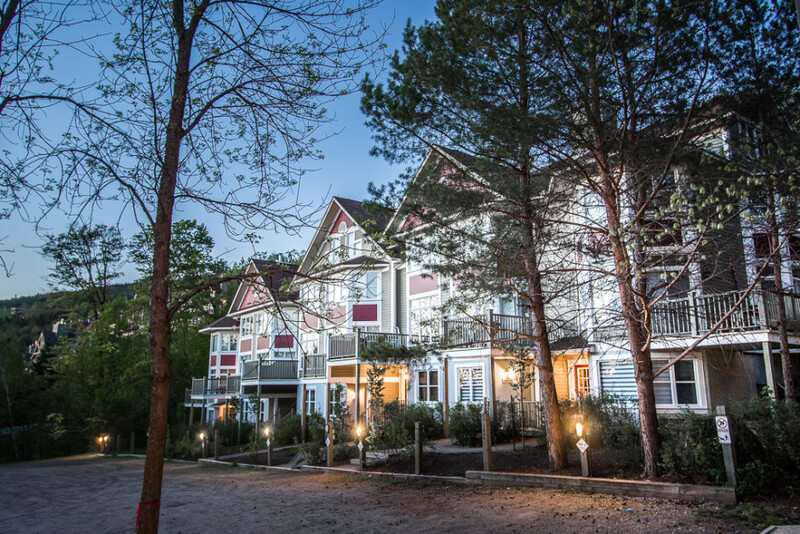 Le Boisé is a complex of townhomes located in the Domaine de la Forêt neighbourhood. With its direct access to the ski trails and the pedestrian village located nearby, it's the perfect spot for a vacation with family or friends. The site is quiet and surrounded by nature, offering a magnificent view of Lake Tremblant. A short five-minute walk leads to the charming resort village, with its myriad shops, restaurants and activities for vacationers. A shuttle service is available throughout the day. This spacious townhome with four bedrooms and three bathrooms can accommodate ten people, making it ideal for two families. 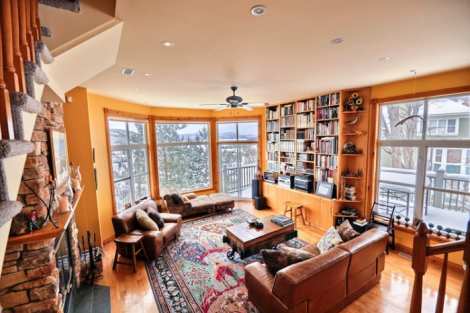 This bright home has great windows offering a gorgeous view of Lake Tremblant and the mountains. The kitchen is well equipped for meal preparation. Guests can gather comfortably around the large dining table that seats ten. The main living room features a wood-burning fireplace, a hi-fi sound system and a TV. A large family room comes equipped with a range of children's games and toys, as well as a collection of DVDs and video games. Comfort on summer days is ensured thanks to the large patio and air conditioning. Take advantage of these 3,000 sq. ft. of comfort and calm, near the heart of the action. 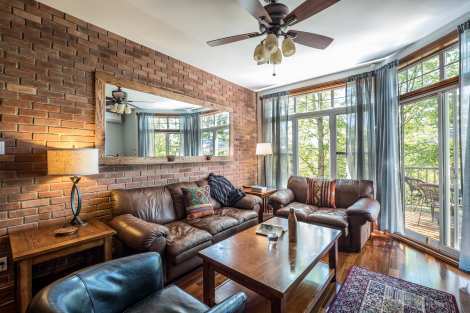 A charming townhome with ample windows offering a view of the lake and surrounding nature. Summer and winter, we appreciate the direct access to ski and hiking trails, the peace and quiet, and the proximity to all the activities. This well-appointed space features an open concept in the common areas. Rooms are spread out over four storeys, allowing for more privacy. For the guests' comfort and enjoyment, the unit is equipped with a wood-burning fireplace and private sauna. This vacation home is very well designed to offer a great vacation with family or friends. the best lodging options available for your memorable Tremblant vacation!